Avios are ideal for short, direct, economy flights, especially between regions on award charts. Today I’m going to show you some examples of how you can combine the use of Avios with region-based miles to use less miles overall and see more places at the same time. Let’s say you want to go to Morocco. It would cost 40k United miles to fly economy or 80k to fly Business, from the United States to Northern Africa, the region that Unified classifies Morocco in. But if you flew to Madrid first (classified by United as Europe) and then used Avios to hop to Morocco, it would only cost 30k/57.5k/70k United miles in economy/United Business/Partner Business, and 4,500 Avios in economy (it’s only a 1.5 hour flight). You save yourself miles and get to see Madrid as well as Morocco. Below are examples of actual awards where you can apply this trick to see an extra destination and pay less miles overall while doing it. That doesn’t mean you can’t utilize Avios for flights on other oneworld carriers or non-allied partners of British Airways. Some only charge mild fuel surcharges, especially on short flights like the examples I will show you below. Let’s take a closer look at the example I gave at the beginning of this post. You can fly from North America to Madrid for 30k United miles in economy, 57.5k United miles in United’s Business Class, or 70k United miles in a United partners’ Business Class. Then you can use just 4,500 Avios to take an hour and half flight in economy to Casablanca in Morocco on Iberia. The out of pocket taxes and fees for this award are minimal at only $29. Flying straight to Morocco from North America would cost 40k United miles in economy or 80k in a Business. You could fly from North America to Istanbul for 30k United miles in economy. Then you can use 10,000 Avios to take a four hour flight in economy to Doha on Qatar Airways. British Airways collects fuel surcharges on Qatar, but they are reasonable at $86 for this award. Flying straight to Qatar from North America would cost 42.5k United miles in economy. You could also easily fly into a different European airport (like Paris, for example) for the same price, and take a low cost carrier flight between Paris and Istanbul before heading on to Doha with Avios. Read about how to incorporate an award like this into a round-the-world trip with half the flights in a flat bed for 100,000 Miles. You can fly United Airlines from North America to Berlin for 30k Aeroplan miles in economy (without fuel surcharges). Then you can use just 4,500 Avios to take a little over an hour flight in airberlin economy to Warsaw in Poland. British Airways does not collect fuel surcharges on airberlin, so taxes are just $30 for this award. Since Aeroplan divides their award chart into Eastern and Western Europe, flying straight to Poland from the United States would cost 37.5k Aeroplan miles in economy. You can fly from Santiago to Easter Island (a territory of Chile) for 10k American Airlines miles in economy, 20k American Airlines miles in Business. This would position you in what most consider the South Pacific region. Then you can use 12,500 Avios (+$30 in taxes/fees) to take a five and a half hour flight in LATAM Chile economy to Tahiti. Flying straight to Tahiti from Santiago would cost 45k/82.5k American Airlines miles in economy/Business Class. The savings in this example could be huge, unfortunately I can only call it a theoretical sweetspot as I could not find any LATAM Chile award space between Easter Island and Tahiti. Let us know in the comments if you’ve ever seen it. Another nice perk of British Airways Avios is that they don’t tack on any extra fees for booking your flight at the last minute. So if you decide in the middle or your Euro-trip that you want to fly somewhere else over the weekend, you won’t have to pay one of those annoying $75 fees that American Airlines AAdvantage or United Mileage Plus would charge. You can look for award space right on ba.com– here’s how to use the search tool. You can also book on ba.com. 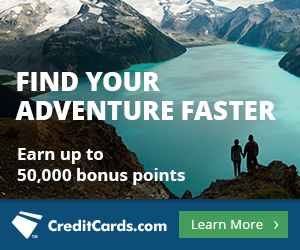 50,000 bonus Avios after spending $2,000 in the first three months on the card. The Freedom and Freedom Unlimited are two separate cards, but are two sides of the same coin. You can read my analysis comparing the two here. Both cards come with 15,000 bonus Ultimate Rewards after spending $500 in the first three months and 2,500 bonus Ultimate Rewards for adding an authorized user. This biggest difference between the two cards are their category bonuses. The Freedom Unlimited earns a spectacular 1.5x on everything. The Freedom earns a “meh” 1x on everything except 5x on up to $1,500 per quarter in categories that rotate quarterly. The Chase Freedom and Freedom Unlimited earn Ultimate Rewards. 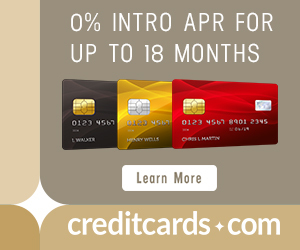 Both cards earn points that can be redeemed at a rate of 1 cent each– that’s why all the marketing of the card features cash back language. BUT if you have a Chase Sapphire Preferred or Ink Plus card, there is a second way of redeeming the Freedom or Freedom Unlimited’s Ultimate Rewards: transfer them to your Sapphire Preferred or Ink Plus account and from there to airline miles or hotel points. I call this the Freedom Two Step. For the reasons presented in this post, the Freedom Unlimited is one of the first two cards I recommend everyone get. As all of the cards that earn Ultimate Rewards are Chase products, before applying for any of these cards remember to consider the Chase 5/24 rule. In short, if you’ve opened any five credit cards in the last 24 months, an application for a new Chase card will be denied. Avios are different than most of your mileages in that the prices of awards are based on distance. Different equals more valuable when it comes to miles because it opens up different types of high value awards. By combining Avios with your preferred region-based miles, you can maximize the value of your miles and see more places all at the same time. The easiest way to get a bunch of Avios is through cards that earn Ultimate Rewards, since Avios is a 1:1 transfer partners and there are lots of cards that earn them with large sign-up bonuses. Previous articleWant to Win a Million United Miles? Scott, you need to look for a connecting flight, like SCL-PPT. In that case ba.com shows some availability, for instance, Jul 5th. Maybe you can book that flight with a stopover and maybe it’s available via Alaska mileage plan. I didn’t figure out that question yet!